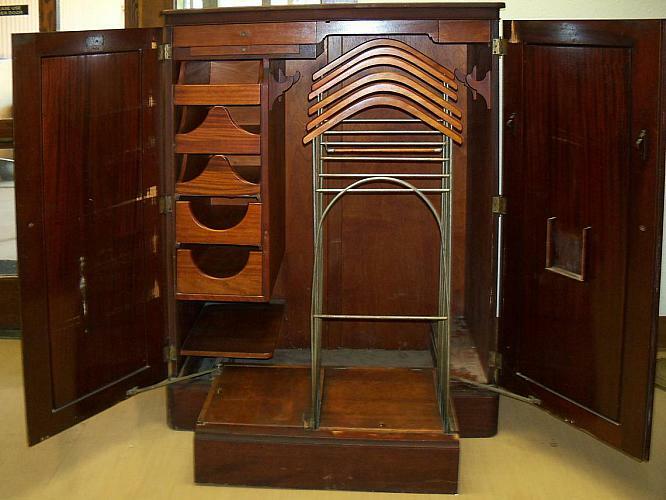 Berkey & Gay Wardrobe shows doors with ribbon mahogany. The interior of the wardrobe displays the accommodations for various clothing items: five drawers at the left was for items like ties, collars, undergarments, folded clothing, and handkerchiefs; the open shelf below the drawers probably held shoes. The expandable hangers at the right, which rest on the square base that slides back into the piece when the doors are closed, could hold trousers, vests, and jackets; and two wooden hooks on the right wall of the wardrobe for items like a bathrobe, for example. The purpose of the small bracket on the door at the right is undetermined. The Berkey & Gay trademark, placed beneath the top drawer, helped date the manufacture of the wardrobe between 1890 and 1900. 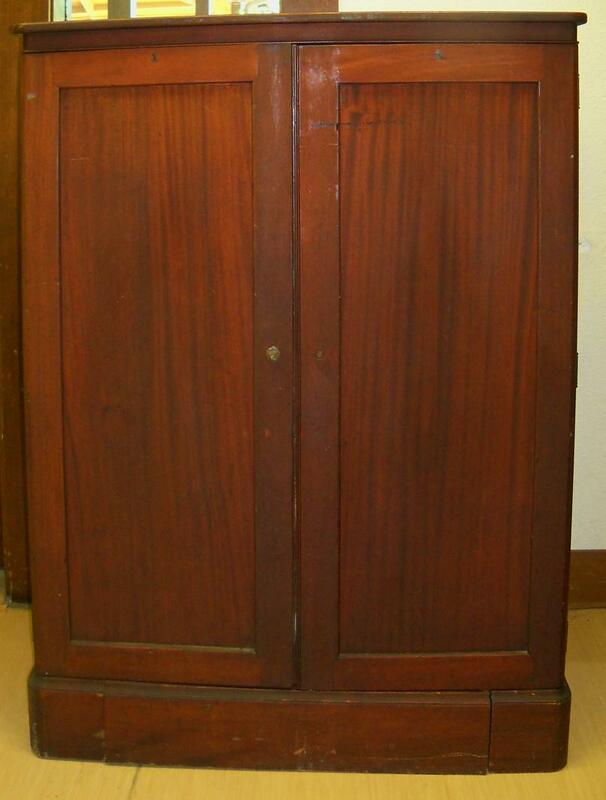 The closed version of the wardrobe can be seen in the companion photograph, Berkey & Gay Wardrobe.